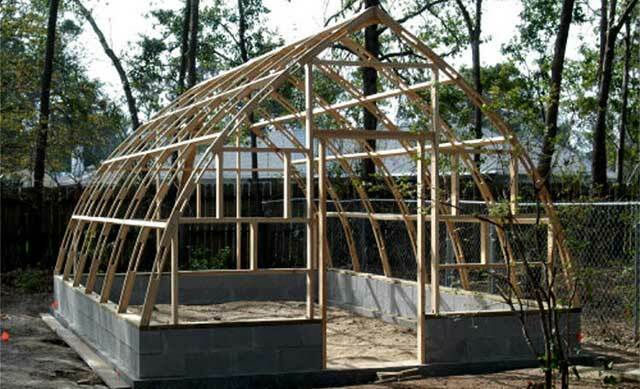 I just wanted to write and let you know how much I enjoyed the Gothic Arch Greenhouse I bought from you back in the 90s. At that time you were just selling the structures and that was all I could afford to get. I later covered it with clear corrugated greenhouse fiberglass. It was 14' x 20' and when I assembled it and first walked inside, it looked so big empty. I found out real quick it wasn't large enough..lolol.. I advise anyone to get the largest they can afford, because it doesn't take long to fill up. I ended up building another greenhouse behind the Gothic that I could walk into from the back of the Gothic.